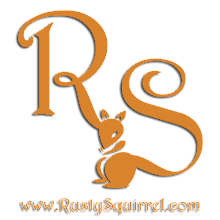 Well it's been a busy few weeks and I'm thrilled to say The Rusty Squirrel is starting a new antique mall adventure. I have a showcase and will soon have a booth at Countryside Collectibles & Antiques Mall in Siler City NC. I set up my Showcase this week - Showcase #21, and will be moving into my booth in June. I love decorating a display with a theme in mind and using clothing to add interest and help tell the story of vintage items. Sometimes its a bit difficult to find or have available multiple related antiques at a given time so I find clothing items a great way to pull a look together for what I do have. I recently attended my Sister-in-Laws wedding so I had weddings on the brain as well as a pink thing happening so part of my display was a "Think Pink" theme, which I think played well with the "wedding" inspired items I've displayed. The 1930s Mary Dunbar Mixer as well as the 1930's Berstead Model #68 Toaster are two of my favorite items in this case. Toasters and mixers have been traditional wedding gifts for eons and I love the charm of these rusty relics to the past. I had a lot of "girly" happening so I wanted to give the male audience a bit to look at as well. I have this amazing Eagle 400 railroad trail oiler. This oiling can is amazing ans so tall so I paired it with a whimsical wooden train and the blue and white, kids overalls by KEY. I think the use of the additional children's clothes and accessories add whimsy to the display. I would have loved to have had that pink princess hat when I was a kiddo. I have this great mid-century youth football shoulder pads by Hutch and a set of vintage Camel darts to round out what might catch a male viewers eye. The shoulder pads have been well loved and the left shoulders leather has worn through due to age and use, however it still displays well on a shelf and I could not resist the whimsy of adding in this vintage Italian carved cat statue to show them off. I'm real happy with how my first display turned out and I hope all the items here find a happy new home in the near future. I look forward to setting up my booth in the next few weeks as well. Countryside Collectibles & Antique Mall is in Siler City, NC, located at the intersection of Hwy 421 & Hwy 64 and has 30,000 square feet of Antiques and Collectibles from a variety of vendors. If you are ever in this part of North Carolina and you get the chance to drop by Countryside Collectibles & Antique Mall. I hope you'll stop by Showcase 21 and have a peek.